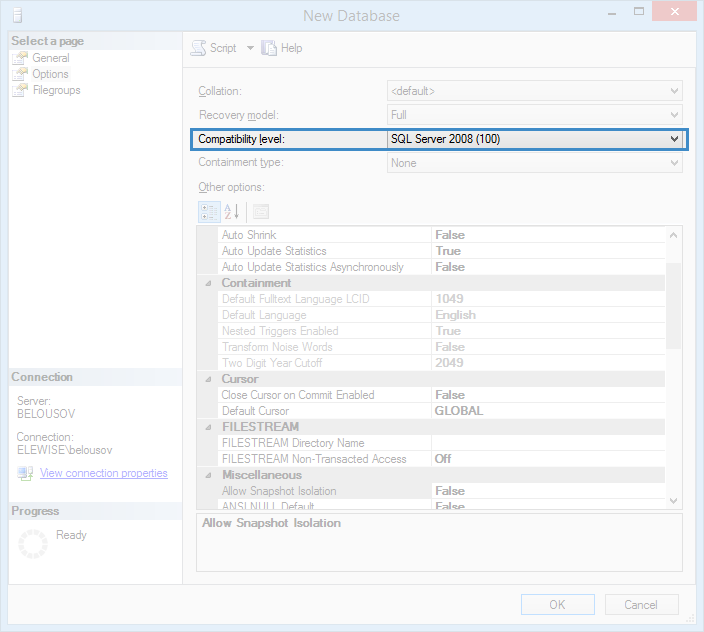 If you use MSSQL Server 2014 or higher, you need to set the compatibility level of all ELMA databases to MSSQL Server 2012 (or MSSQL Server 2008). 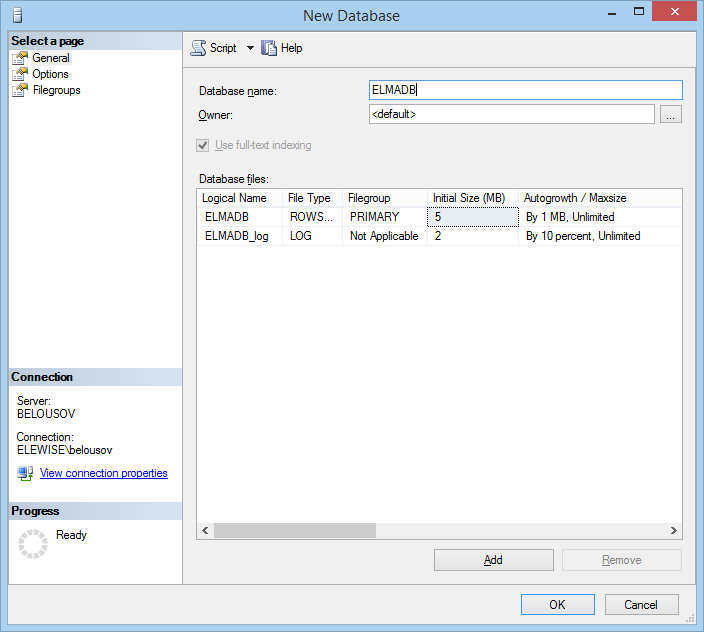 You can also change the compatibility level of existing databases. Please see this article to learn how to do that.